Under the themed ‘Breaking the Cycle, Brexit Update & Insurance Reform’, Wexford hosted a delegation of road transport and logistics ? 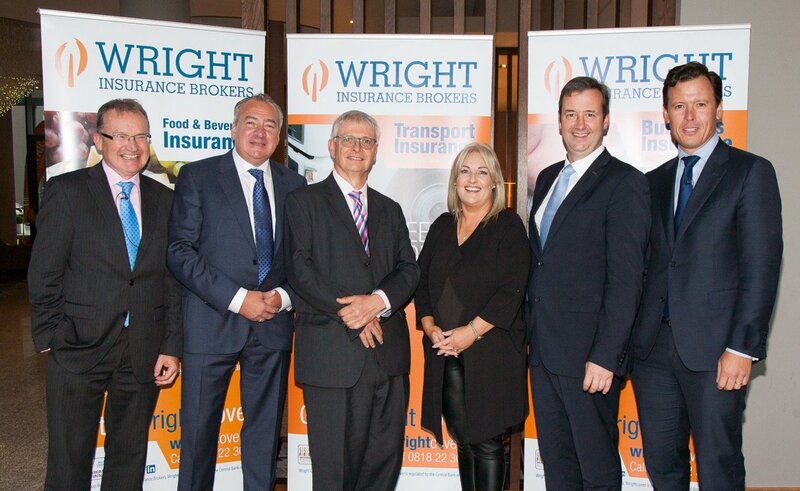 who attended the Wright Insurance Brokers Transport & Logistics Seminar on the 12 September last. 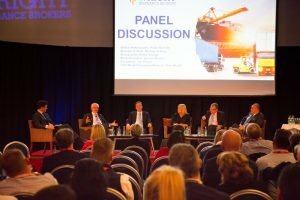 The speaker panel included: the British Ambassador, Robin Barnett; Minister of State, Michael D’Arcy; Irish Road Haulage Association President, Verona Murphy; and Economist, Jim Power. The seminar’s topics focussed on key issues impacting the audience, many of which will be particularly affected by the outcome of the final Brexit negotiations. Insurance Reform is also a key issue for Transport and Logistics operators who have been significantly impacted by rising insurance costs and associated issues including the current claims culture and personal injury judgements. Minister of State, Michael D’Arcy opened the seminar with a summation of the status of Insurance Reform in Ireland. This was followed by an update from leading Economist, Jim Power, on the Brexit “Deal/No Deal” debate and the likely impending implications for the sector.